In a comment on that post, my friend Carol said that she had heard the same story, but the version she heard ended with the man being buried with the fork in his hand. I don’t remember if the version I heard had that ending or not. Too long ago. So, am I living a parrotlife? 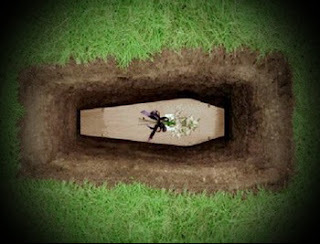 Will I be buried with others’ whispers of animosity or words of a life well-lived? That thought prompts this thought: How do I live my life now? What does my life say to others? What telltale memories will I be buried with? Will others remember me as selfish or selfless? Loving or unloving? Honoring God or honoring self? I know I fail at times but that verse is my life’s goal. May it be your life’s goal as well. * What memories do you wish to be buried with? *Twenty more posts to go! 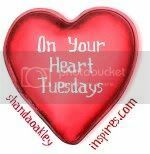 **Today, I’m hooking up with the monthly blog chain through Christianwriters.com on the topic of “memory.” Check out the rest of the great posts by the chain gang in the right sidebar. Dash Days – I like that! I only know that I can work on loving others like the Father loves me – I cannot rely on people judging my actions the way I intend them – I can only love in those dash days the best I can and with pure intent. I think I would want people to say that I tried my best to live what I believe and it helped somebody, encouraged somebody to see God’s love more! Amen, Maryleigh! That is the best! Thanks so much for stopping by and commenting. Always love seeing you! Blessings to you, sweetie! Thanks for this post, Lynn. It’s a reminder to me also to live each day to its fullest and stop waiting for “the perfect day”. Sometimes (especially when life is discouraging), it’s so easy to get bogged down in the “what if’s”, “if only’s” and “someday’s” The danger, though, is that life slips by and before we realize it, our “dash days” have amounted to nothing. What a compelling post! Denise, thank so much for taking time to read and comment. I appreciate it! Bless you! Such a great comment, Dana! Thank you so much for visiting and commenting. Makes my heart happy. Bless you! I have read that fork story too but it was a woman. great message though. This is a very thought provoking post – one I reread several times. I don’t know anything physical that I want buried with me, but I love the thought of being buried with the good thoughts of others. 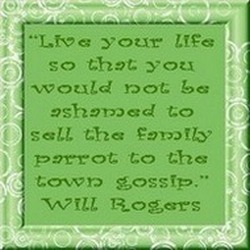 The parrot quote is very thought-provoking… Thanks for sharing. Most days I think the best I can hope for in my coffin or on my tombstone or in people’s thoughts is “She tried her best.” I hope that even in my failures and most selfish moments, God can show love through me to others. when the parrot starts blabbing in the great courtroom my advocate has a seamless garment to cover his cage. Hey, Carol! Sorry you read it here. I was hoping to email first. Thanks so much, sweetie! And thanks for the spark! Blessings! Yeah, thinking of a tombstone phrase is difficult, Jean. How do you condense your life into one sentence and make if meaningful? Whew! Thanks so much, sweetie! Bless you! Lisa, I love that quote. Glad you liked it. Thanks so much for stopping by and commenting. I appreciate it. Blessings to you! Joy, that’s always a good one: She tried her best. And I’m sure god’s love flows out of your to others because it’s your heart’s desire. Thanks so much for visiting. Bless you! LOL Jacky, I love that! Such an awesome thought! Thanks! Blessings to you! All good thoughts and points, Lynn. We do need to watch how we live our lives. I’ve heard another quote as well, a Cherokee saying: When you were born, you cried and the world rejoiced. Live your life so that when you die, the world cries and you rejoice. Ceci, I’ve heard that one, too. I love it. Thanks so much for posting it. I need to save it! Blessings! ← Hold onto Your Fork…The Best is Yet to Be! ← Did You Ever Hear a Memory?